So follow me along the basic facts of skins anatomy, skin types, skin conditions and why what works for my skin might not work for yours. How is our skin build? Our skin has different layers. The one we see (and usually target) is the epidermis. 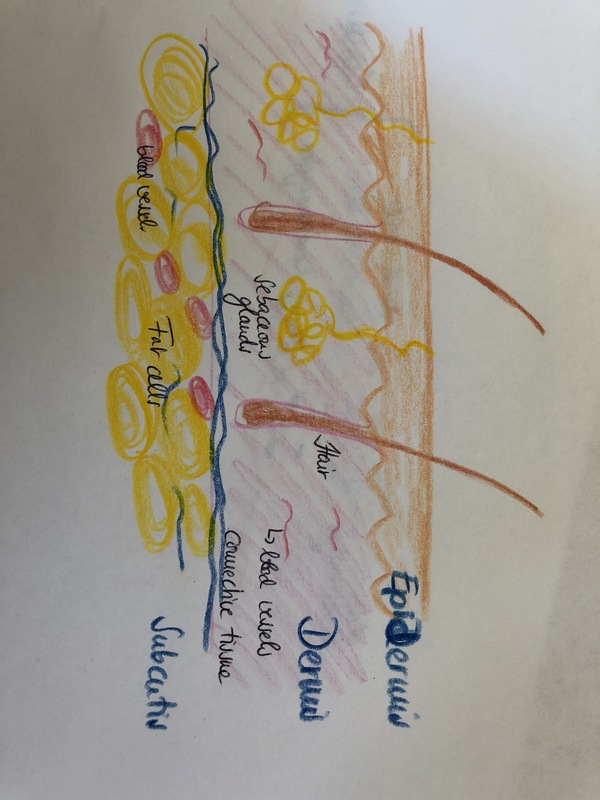 At the base of the epidermis skin cells form, they move upwards and eventually die, forming a protective layer paired with lipids and ceramides. This protective layer prevents bacteria from getting inside and water from getting outside. Underneath that is the Dermis. It contains small blood vessels, fat cells, connective tissue, hair follicles and glands. Pimples form here, IPL treatment works here, and this is the part companies talk about when they promise “deep penetration of active ingredients”. 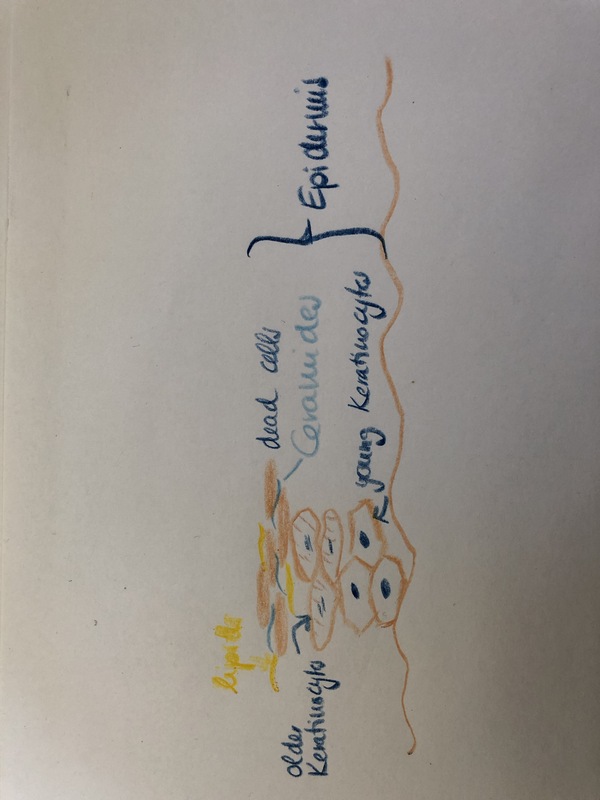 The base is made of subcutaneous fat, larger blood vessels and more connective tissue to anchor the skin to the muscles and bones underneath. 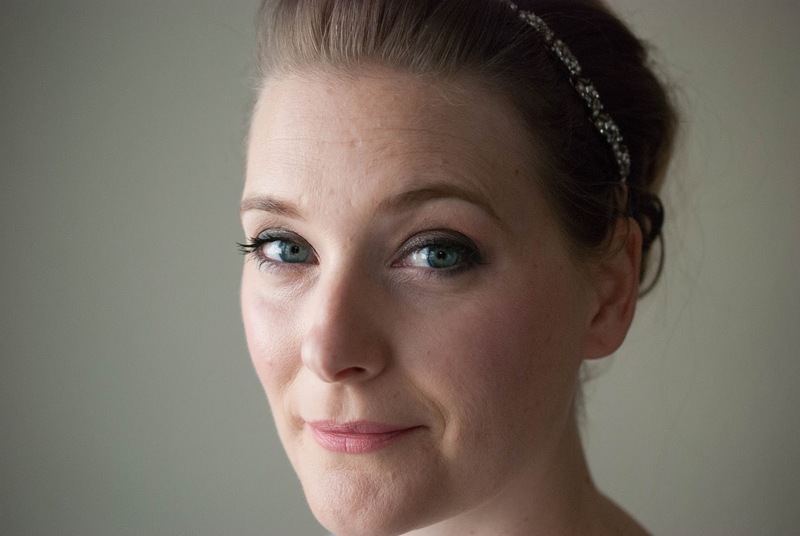 What is the difference between a skin type and a skin condition? There is no clear difference, but as a rule of thumb the skin type is mainly genetic and the condition is mainly influenced by external factors. That is a very basic rule of thumb though, as your skin the can change over time and is of course also heavily influenced by lifestyle factors. And a skin type can have a skin condition, to make things even more complicated. 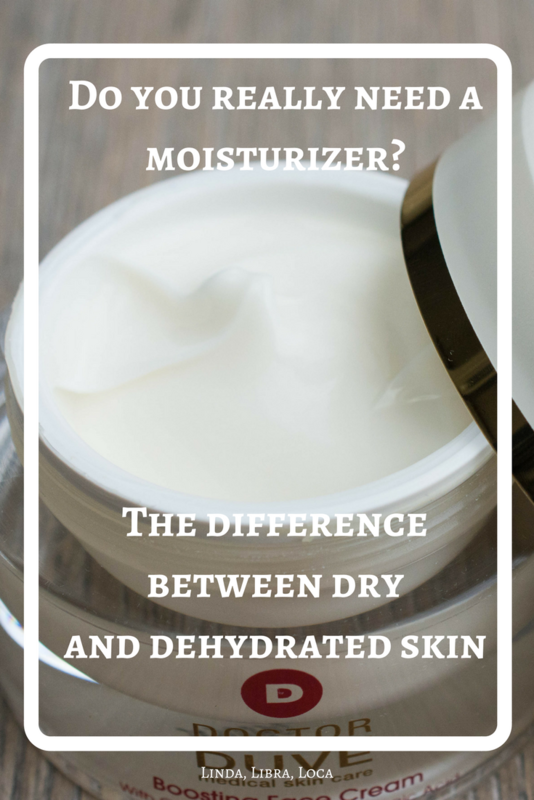 Dry skin is a skin type. It can also be caused by medication and is heavily influenced by products you use and weather conditions. It feels tight and looks flaky, dull and rough. Dry skin is lacking oils to maintain its protective barrier (see above), so water will always evaporate, no matter how much hydration you put on your skin and inside your body. It is very often combined with dehydrated skin (see below), because a disrupted protective barrier leads to TEWL (=Transepidermal Water Loss) and dehydration. Dehydrated skin is a skin condition that can occur on every skin type. Your skin feels tight, but might look oily, might have larger pores and has a tendency to “eat your makeup”, which means that makeup disappears/goes patchy on you much quicker than on others. Dehydrated skin is lacking water in the first place, due to medication, weather conditions, lifestyle and hormones. So how do I treat them? If your skin is dry, you will need emollients and occlusives to form a protective layer in the Epidermis and stop the water that is already in your skin from evaporating. If your skin is dehydrated, you need to focus on humectants that transport and bind the water in the skin, your protective barrier will keep it there. If your skin is dry and dehydrated though, you will need both: First humectants to get water to the skin and then emollients and occlusives to seal it in. And what about that moisturizer now? Look at the ingredients! 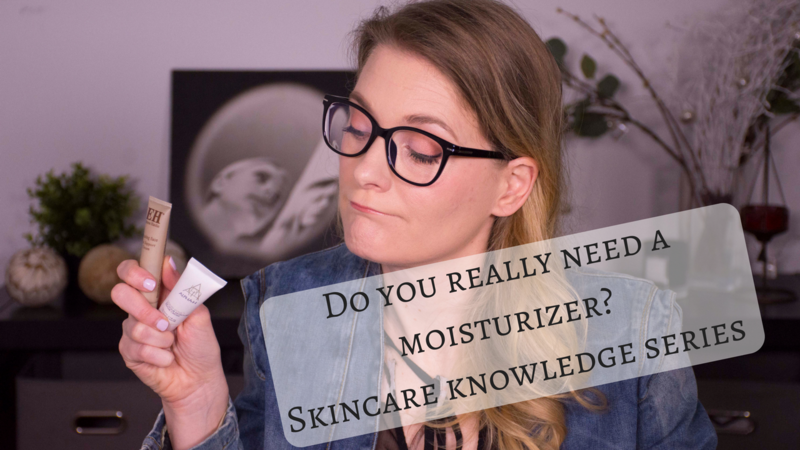 Does it contain many humectants, but your skin is dry? Use it as a serum and layer it with something else. Does it contain mainly occlusives and emollients, but your skin is dehydrated and oily (like mine)? Look for something with humectants instead. Once you understand what you need and why, you can look past the label and use your products as they best fit your skins needs!